The last chapter of the book is divided into two parts: combinatorics and probability. The combinatorics part contains subchapters on combinatorics of sets, combinatorial geometry, graph theory, with a discussion of Euler’s formula and Ramsey theory, and a subchapter on binomial coefficients and counting methods, among which the method of generating functions and the inclusion-exclusion principle. 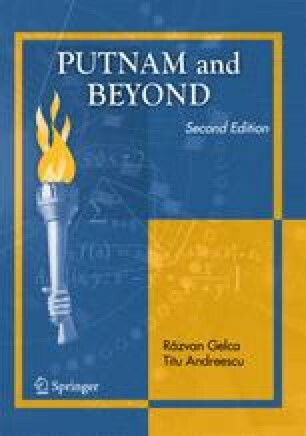 The chapter ends with a discussion of techniques for computing probabilities, and a section on geometric probabilities.